With all the negativity that has been cast toward the Confederacy, there are still a few things that have happened recently. They disregard the nasty notion that the South was evil and fought to defend slavery. One positive is that the United States Fifth Circuit Court of Appeals has granted a preliminary injunction preventing the city of New Orleans to move ahead with removing four Confederate monuments. The injunction will remain in place while the case is being appealed. Another advancement is the updating being done in Gettysburg, Pennsylvania; specifically, General Lee’s headquarters. The Civil War Trust has begun a renewal project, and has started demolition of the hotel and restaurant that were built onto the historical building way back when. The Mary Thompson House will be restored to look like how it appeared in 1863. My book, A Beckoning Hellfire, describes in detail the cavalry battle that took place outside of Gettysburg. A tall memorial that honors Confederate soldiers has stood in front of the Rapides Parish Courthouse for more than 100 years, but an organization of black attorneys believes it is offensive and should be removed. Malcolm Larvadain, an attorney who is president of the Louis A. Martinet Legal Society, asked Rapides Parish police jurors to remove the memorial, which features a statue of a Confederate soldier on top. The society is made up of area African-American attorneys. “In this day and age of 2016, I feel that that statue is offensive. Honestly, it should be placed in a museum,” said Larvadain, whose father, Ed Larvardain Jr., is a longtime civil rights attorney and whose brother, Ed Larvadain III, is an Alexandria city councilman. “I just feel the South was on the wrong side of history and humanity. I feel that it needs to come down. I can only imagine how people who look like me (black) who walk up to this courthouse and see this the statue and see the word ‘Confederate’ at the bottom of the statue, how they feel about that,” he added. Police jurors did not take any action on Larvadain’s request because they said they’ll wait to see what happens with Senate Bill 276 by Sen. Beth Mizell, R-Franklinton. The bill would create the Louisiana Heritage Protection Commission, which jurors said might exercise control over such memorials. He said he went to look at the statue only after he heard it would be raised as an issue. “I don’t go by and salute it. I don’t agree with everything that’s been done. … I think it needs to stay where it is because of history,” Billings said. He was referring to the three black members of the nine-member Police Jury – Ollie Overton, Scott Perry and Theodore Fountaine. The Confederate memorial was erected in 1914 by the Thomas Overton Moore chapter of the Daughters of the Confederacy, according to information on the base of the statue. Most jurors did not seem that familiar with the Senate bill and noted the statue-removal request was new. The Senate bill, if it becomes law, might make it harder to remove a statue or memorial. “Except as otherwise provided in this section, no memorial regarding a historic conflict, historic entity, historic event, historic figure or historic organization that is, or is located on, public property, may be removed, renamed, relocated, altered, rededicated, or otherwise disturbed or altered,” the bill reads. It does note that a public entity may petition the commission for a waiver if it seeks to remove a memorial. Fountaine, Overton and Perry each had a different take on the memorial. “The statue should never have been put up, and it should come down,” Fountaine said. Perry said Larvadain’s request caught him by surprise, and he noted he never paid much attention to the memorial. “I’m going to wait and see what the Legislature does,” Perry said. Jury President Craig Smith also said the jury wants to see the outcome of the Senate bill. “If we have to, we’ll address it again,” Smith said of the request to have the memorial removed. Overton said the memorial is “distasteful” to him and others, and he would like to see it removed. He noted there would be cost in removing it, and he indicated he’d like to wait to see what happens with the Senate bill. 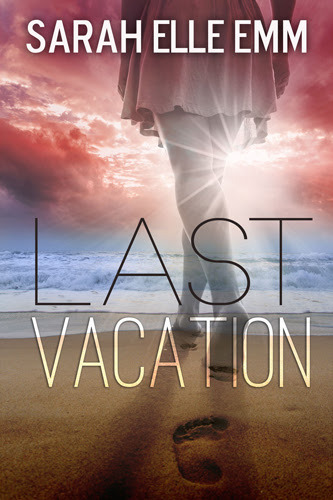 Today’s featured book is Last Vacation by Sarah Elle Emm. Here is more information about the novel. Make sure to scroll down to enter the giveaway! A day with no responsibilities? I don’t have those. My twin sister, Maddy, has enough free days for the both of us. That being said, if I have everything on my list crossed off for the day, I might read for a bit. I might also stop in one of the boutiques on Fifth Avenue in Naples and pick up a new pair of heels. But only if I’ve finished work for the day. That’s easy. I always visit Grandma Lynn when I have time. She’s adamant about living in the retirement home because she says I am too young to have an old lady living with me, but I visit her almost everyday. It is part of my routine. I’d spend the day with both of my parents if they were still around, but I am not sure how that would go. I probably wouldn’t be able to keep my mouth shut, and I’d ask them why they always had to travel and go off on adventures instead of staying home with Maddy and me. In a perfect scenario, my sister has finally come to her senses and is settled down in Naples, holding a steady job. I no longer have to worry about what sort of trouble she might get into next. Currently, I am frantic and desperate with worry, trying to find her. I’m the only person who can help her. It’s been my job to look after her since our parents died. That’s tough. Before Maddy disappeared, I might have said forgiveness was overrated. I admit, I’ve been a little tough on her all of these years, never really understanding her or forgiving her for making what I consider reckless decisions. But now? That’s she missing? I wish I had told her to her face that I accepted her and wasn’t mad at her for every decision she made. I hope I get the chance to tell her how sorry I am. – I secretly admire Maddy for being so daring and going on adventure-seeking vacations. 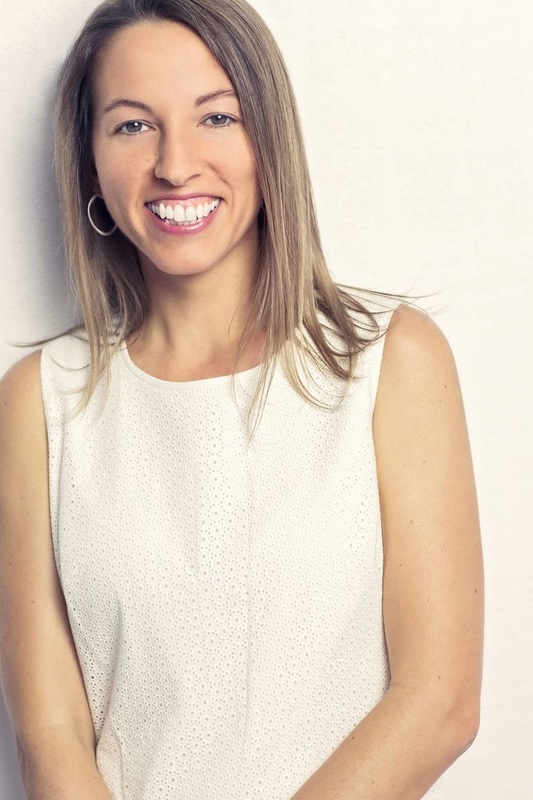 – My co-workers always remark about how I have my life together, from my luxury convertible to my designer shoes to my commercial real estate sales record. And yes, I am successful in my career and happy with that part of my life, but underneath it all, I am a bit lonely. – I’ve never been in love. Even though I thought I loved my ex-boyfriend, I look back now and realize I was in love with the idea of him and the image of us as a power couple. But it wasn’t really love. I doubt I’ll ever be in love. Megan parked in front of the bungalow and climbed out of the junky, little car, as she was referring to it now, resisting the urge to kick it. Though the air-conditioning wasn’t working at full power, it had offered some relief from the island temperature. Even though she’d tried to dress weather-appropriately with a short, thin cotton dress, the humid air seemed to reach out to her and settle over her at once, sending a drop of sweat down her temple. Out of habit more than anything, she wiped the sweat away before it could ruin what was left of her make-up. She sighed aloud. She didn’t just miss her Maserati. She missed her office and her house. Her routine. She missed her life. Maddy checked out of her hotel, and no one had seen her since. Of course, she still had questions…Who were the guys she had left the hotel with? Maddy could have gotten involved with a man, but had she left St. Croix with him? It was a definite possibility. Her twin was probably sun tanning on a booze cruise somewhere in the British Virgin Islands by now. Still, before she had left Naples, Maddy had been sober for nearly sixteen months. Had she given up on sobriety? As she climbed the steps to her bungalow, Megan tried to convince herself the theory was true. She would go home and wait for Maddy to show up with her new tattoo and tale of sailing the Caribbean islands. Then, she would try, yet again, to convince Maddy to get a job and stay put. And they would have the same old argument about why Maddy refused to act more responsible. As she pondered her twin’s recklessness, a hand clamped over her mouth, and her arms were pulled into captivity. An area off the North Carolina coast known for its War Between the States shipwrecks may be adding another to the collection after the discovery of what is believed to be a Confederate blockade runner near Oak Island. Archaeologists using sonar imaging discovered the 226-foot-long remains of a shipwreck on Feb. 27 in an area where historical documents indicate three runners used during the blockade of the port of Wilmington are located, said Billy Ray Morris, North Carolina’s deputy state archaeologist who manages underwater operations. Morris and a team of divers will return this Wednesday to the site, about 30 miles downstream near Fort Caswell to confirm their finding. Three blockade runners are known to have been lost in the area: the Agnes E. Fry, Spunkie and Georgianna McCaw. “By the time I’ve crawled across it with a team of archaeologists and a couple of graduate students … I’m confident I’ll know which wreck it is,” Morris said. He said he hopes to tackle the project on Wednesday. He added that he is not 100 percent certain that the shipwreck is one of the blockade runners. Wrecks of 27 blockade runners, Confederate ironclads and Union ships used in the blockade have been found in the area that includes the Cape Fear River and the Atlantic Ocean around islands such as Oak Island, according to Morris. “It’s the single best assemblage of Civil War shipwrecks anywhere in the world,” he said. Blockade runners were the cigarette boats of their era, moving fast with an unarmed captain and crew using their talents to avoid the Union ships and get their goods to land. Military supplies would be put on trains to Weldon in northern North Carolina, and then on to Gen. Robert E. Lee’s Army of Northern Virginia. The civilian supplies were sold dockside. They were items that the Confederacy couldn’t make and which appealed to the wealthy, Morris said, such as wine and liquor, fancy fabric, books and shoes. The Union blockade of the port of Wilmington began in 1861 and ended in January 1865, when the Union troops closed the port and overtook Fort Fisher. The Underwater Branch of the North Carolina Office of State Archaeology and the Institute of International Maritime Research discovered the shipwreck with the help of a multiyear grant called the American Battlefield Protection Program, Morris said. The grant, funded through the National Park Service, is ending this year, he said. Throughout the course of history, women have repeatedly demonstrated their strength, power, and resilience. The Civil War changed the role women played in American society. For the first time, women were allowed to participate in the war effort, not only by joining traditional sewing groups, but by volunteering as nurses and hygienists. Prior to the war, nurses were primarily men. But this changed with the advent of such notable women as Mary Ann “Mother” Bickerdyke, Clara Barton, who later founded the American Red Cross, Louisa May Alcott, who went on to write “Little Women,” and Florence Nightingale, to name a few. The new PBS television series, “Mercy Street,” accurately portrays what it was like to be a nurse in a Civil War hospital. With all the trials presented to them, including the lack of medical technology, these women withstood danger on the battlefield and criticism from their peers to persevere. Many cases of women fighting on the battlefields have emerged over the years. Some of these brave souls disguised themselves so they could fight alongside their husbands, brothers, or friends, while others retained their hoopskirts and acted as spies for both the Union and the Confederacy. Belle Boyd, who supposedly crossed enemy lines to smuggle Union strategy plans to General Stonewall Jackson, traveled around the country after the war to tell her fascinating stories. Many other brave women smuggled supplies, including desperately needed drugs, across enemy lines to support the troops and the cause for which they believed in. A few also smuggled slaves and POW’s. Women who were left at home while their menfolk went off to fight were faced with the everyday obligation of tending to their farms, businesses, and families. These women, although not as famous, deserve as much recognition for surviving insurmountable challenges and achieving amazing accomplishments. According to Clara Barton, the four-year time period of the Civil War advanced the social position of women by fifty years. Prior to the war, American women were expected to behave according to strict Victorian standards, but afterward, women’s roles in America changed dramatically. A lawsuit has reignited debate over the presence of Confederate symbols in a Southern state, but in Mississippi, Southerners are mounting a legal defense of their Dixie flag. A federal complaint filed last week says the Confederate cross on the Mississippi flag is hate speech that endangers African Americans, according to Carlos Moore, a black attorney from Grenada, Miss., who cited the killing last summer of black church-goers in South Carolina. The government of Mississippi is preparing to defend their flag, however. Mississippi Gov. Phil Bryant (R) said voters should decide whether their flag should be redesigned, not a “frivolous attempt to use the federal court system.” The state’s attorney general, Democrat Jim Hood, said his personal belief is that the flag hurts the state and it should change, but that will not prevent him from fulfilling his oath to defend his state’s laws. Although several Southern flags reference elements of the Confederate “Stars and Bars,” Mississippi is the last state to keep the secessionist symbol in its entirety. While some Mississippians say flag the reflects poorly on the state’s image, many see it as a symbol of loyalty to their often misunderstood, even maligned, state history. In Mississippi, people are digging in their heels in support of both their “Rebel Flag” and self-determination. A previous state referendum – in 2001 – showed voters supported keeping the Confederate symbol by nearly a 2 to 1 margin, with a fairly equal voting split coming even from black neighborhoods. Where Mr. Moore sees “state-sanctioned hate speech,” as he wrote in his lawsuit, Southerns see a symbol of their family’s heritage, said Jeremy Gouge, a 44-year-old roofer, who has family ties to the South. I keep notebooks in my car, purse, etc. because I never know when an idea will come to me. I recently started writing Deceiving Bella, book eleven in the Bodyguards of L.A. County series which I hope to release this summer. The first editor I shared my work with told me not to quit my day job and refused my manuscript. I would have to say that one of the biggest things I have learned throughout my writing journey is to support myself, trust who I am as a person and as a writer. I think that’s vital to thriving in an often brutal industry. Never be afraid to learn, go after what you want, grow from rejection, and be thankful every single minute for your tragedies and triumphs.